Would you like to attend live a Tricopigmentation treatment performed by Toni Belfatto? This is your chance. This DVD will allow you to understand all the secrets of the different Tricopigmentation application techniques, such as, bounce, short-hair and dermattopik. A step by step that is intuitive and explanatory and quite easy to follow. The DVD will teach you, though the use of detailed imagines, how to choose the best needle, the best pigment and the best Tricopigmentation technique. 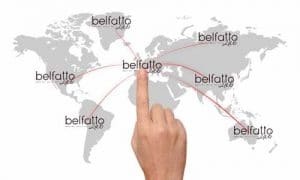 Even the less experienced operators will be able to carry out a perfectly respectable treatment as long as they watch and rewatch the Toni Belfatto’s DVD and take time to study it with great attention.